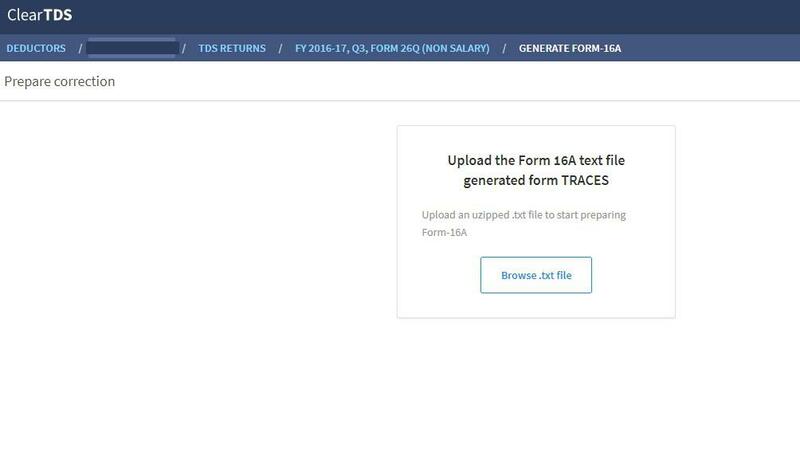 After the successful filing of TDS return for payments other than Salary – Form 26Q, you will have to download Form-16A. It can be downloaded from TRACES and considered as valid TDS certificates, as per CBDT circular 04/2013 dated 17th April 2013. 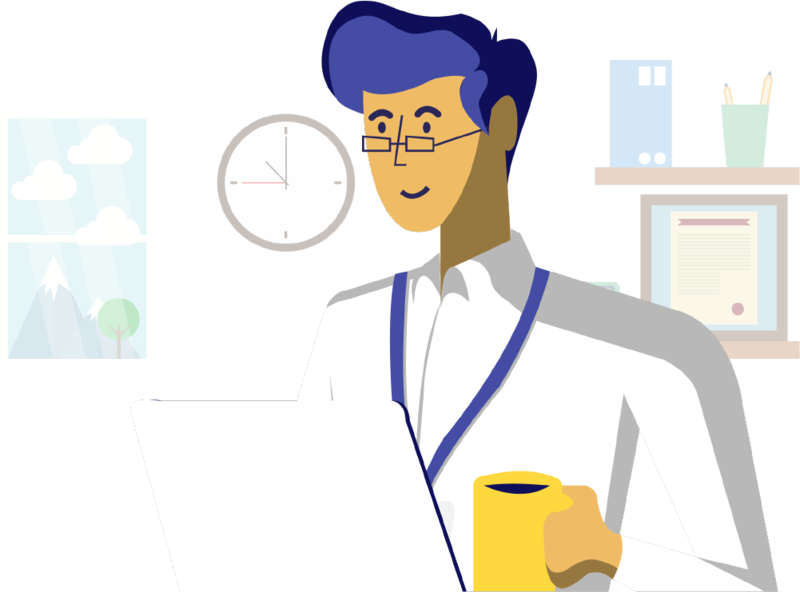 Form 16 A is generated only for a valid PAN. In case of an invalid PAN or if the PAN is not reported in TDS statement, Form 16 A will not be generated. Cleartds will help you to request and download Form-16A. Step by step procedure to download Form-16A. Step 1: Make a request for Form-16A. You can see “Import from TRACES” at the bottom of the page. Click on it to make the request for Form-16A. 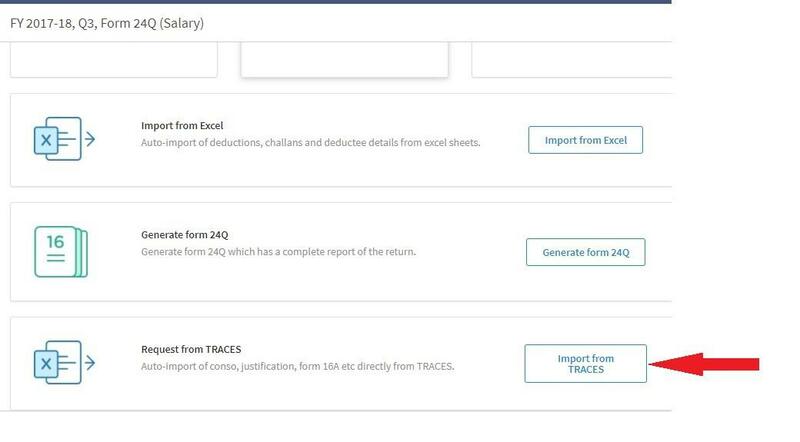 TAN, Token number (Ack.number), Challan details, Maximum of 3 distinct PANs and corresponding TDS amounts are pre-filled if you have filed Original return through ClearTDS. Else you will have to fill it up manually. 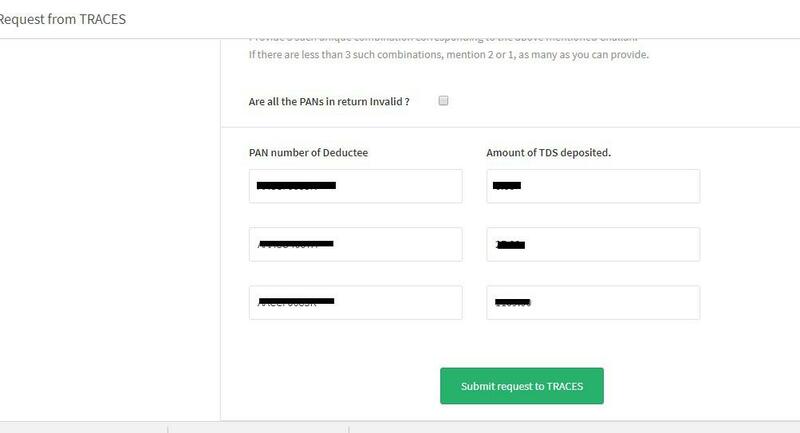 Click on “Submit the request to TRACES”. Once you click on submit, request process will start and ask for CAPTCHA. Please enter the code and submit. The request has been sent now and the status is “Being processed by TRACES”. It will be processed after 4 hours. Once the request is Processed, then the status is “Available”, and, “Download” option will be present. You can download the Form-16A Zip file. This file is password protected. Password to open is TAN number in Capital letters i.e. ABCD12345E. Inside this zip file, there will be a text file. To convert this text file into PDF file go to “Return dashboard”, click on “Generate Form-16A”.